A criminal defendant awaits a court pretrial decision. The defendant has been told he will be sent home either on bail, with conditions, or on own recognizance. The judge looks at the defendant before checking the computer-generated algorithm results on the screen in front of her. The “risk assessment algorithm” advises the judge as she makes her decision. But how can the judge be certain the computer doesn’t have the same biases as the humans who created it? 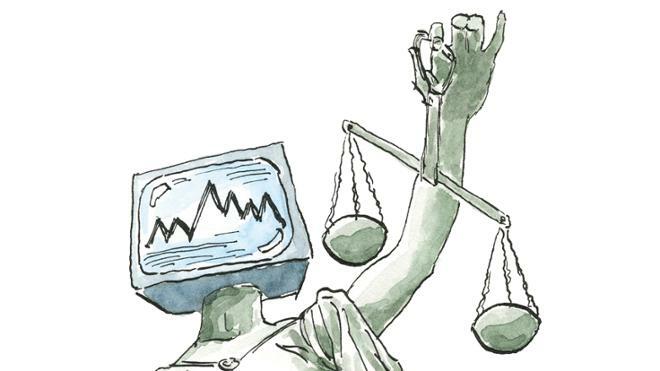 Can the judge really trust the algorithm? And if so, what’s to stop the court system from turning the decision over to AI? This scenario was raised by Sharon Nelson, president of Sensei Enterprises, at the Richmond Journal of Law and Technology’s annual symposium in February. Each year, the symposium focuses on an area of cybersecurity; this year’s theme was Artificial Intelligence and the Law. Another speaker, Ed Walters, CEO and co-founder of Fastcase, described AI’s prevalence in everything from Alexa to stocks and airplane takeoffs, yet many people don’t even realize it. More complex examples — driverless cars and algorithms in courts — create ambiguities that are difficult to address. JOLT, the first law review in the world published exclusively online, is tackling a cloudy issue that many lawyers don’t yet know how to address. Yet, as the speakers repeated throughout the symposium, this area of the law is constantly evolving.